Posted by msoorya in Education, India, News, Politics. Once upon a time, most of the outstanding students are opting for a seat in Medical Colleges. To become a doctor is the greatest ambition of many students once upon-a-time. But, now all have changed. Most of the students are hesitating Biology subject in the high school itself. Most are crazy over Engineering Studies. All because in Engineering, they can finish studies in 4 years and then can take jobs. Some years before, there is a massive need for engineers in India. Everyone went for Computer and related engineering subjects. But, now I think there is more engineers than our needs. All are taking one particular engineering, but others are always left unnoticed. But, the Government of India is becoming aware of the need of huge quantity of Doctors in future scenario. In a country populated as so much as us, Health Facilities are most important one. Any disease can spread in a huge scale in India because of the crowd over here at cities. There is lack of medical facilities in North-East of India and Hilly region. The Medical Infrastructure in Village is worst. The number of doctors is also less. On the other hand, many doctors are not willing to go for village service. Each and every citizen has the right to avail medical facilities. Recently, Government of India has started taking serious steps to improve this condition. An estimate was presented to the Board of Governors of the Medical Council of India (MCI), stating the number of new government medical colleges needed at this critical point of time. The estimate says that alleast 100 more government medical colleges are need to satisfy India’s Medical needs. MCI is also planing to increase the quality of medical education in India. It’s planning to increase the number of seats in colleges, and increase the student-teacher ratio etc., All the documents related to this were put on website. And they are confident of approval in next 10 days. The salaries of the medical college faculty is also going to be hiked soon. Nearly 13 groups are going to be established. All the documents will be finalised near August month. Roger Federer, who was once upon a time the ‘King of Grass’ has now been knocked out of the Wimbledon Championship yesterday. 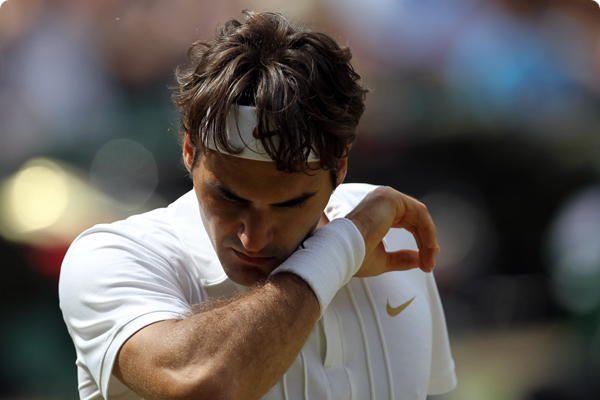 Some tennis fans thought that there is no one can stand a chance against Federer in Grass Court. But, Tomas Berdych, 24 years old man from Czech Republic has done massive job in this year’s Wimbledon. The 12th seeded man beat the Mr. Centre Court by 6-4, 3-6, 6-1, 6-4 just 2 hours 35 minutes. From the start of the tournament itself, Fed-Express is not that mighty. He even struggled to win the first round match. Some what he managed to come to the quarter-finals. Federer is losing his form. He is becoming old.Federer was never taking about lucky before. Now that, he has started losing, he has started speaking of luck. Rafael Nadal, our favourite World Number 1, seems to be in a bit of trouble in his 2nd and 3rd round five set thriller matches. Many thought that Nadal will suffer in the hands of Soderling in his quarter-final match. But, Nadal seemed to be in trouble in the first set, but then came back strongly to beat Soderling by 3-6, 6-3, 7-6 (7-4), 6-1. It’s an great entertaining match from both players. But, Wimbledon is still going to be interesting this year. We have Berdych, Nadal, Murray, Djokovic as the final four for the Championship tie. My and yours favourite will be Rafael Nadal!.. “The New King of Grass”… Go Rafa!!! Here is some special photos from yesterday’s quarter-final matches..